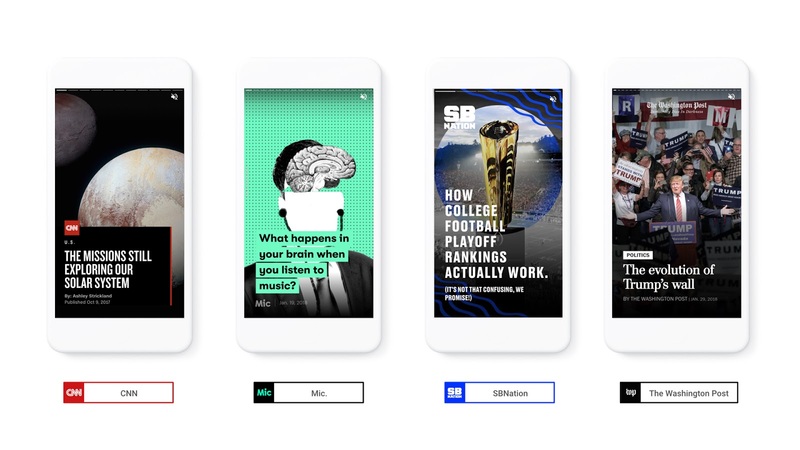 The AMP story format is a recently launched addition to the AMP Project that provides content publishers with a mobile-focused format for delivering news and information as visually rich, tap-through AMP stories. Some stories are best told with text while others are best expressed through images and videos. On mobile devices, users browse lots of articles, but engage with few in-depth. Images, videos and graphics help publishers to get their readers’ attention as quickly as possible and keep them engaged through immersive and easily consumable visual information. Recently, as with many new or experimental features within AMP, contributors from multiple companies — in this case, Google and a group of publishers — came together to work toward building a story-focused format in AMP. The collective desire was that this format offer new, creative and visually rich ways of storytelling specifically designed for mobile. The mobile web is great for distributing and sharing content, but mastering performance can be tricky. Creating visual stories on the web with the fast and smooth performance that users have grown accustomed to in native apps can be challenging. Getting these key details right often poses prohibitively high startup costs, particularly for small publishers. AMP stories are built on the technical infrastructure of AMP to provide a fast, beautiful experience on the mobile web. Just like any web page, a publisher hosts an AMP story HTML page on their site and can link to it from any other part of their site to drive discovery. And, as with all content in the AMP ecosystem, discovery platforms can employ techniques like pre-renderable pages, optimized video loading and caching to optimize delivery to the end user. Yet, the design gives great editorial freedom to content creators to tell stories true to their brand. Publishers involved in the early development of the AMP stories format — CNN, Conde Nast, Hearst, Mashable, Meredith, Mic, Vox Media, and The Washington Post — have brought together their reporters, illustrators, designers, producers, and video editors to creatively use this format and experiment with novel ways to tell immersive stories for a diverse set of content categories. Today AMP stories are available for everyone to try on their websites. As part of the AMP Project, the AMP story format is free and open for anyone to use. To get started, check out the tutorial and documentation. We are looking forward to feedback from content creators and technical contributors alike. Also, starting today, you can see AMP stories on Google Search. To try it out, search for publisher names (like the ones mentioned above) within g.co/ampstories using your mobile browser. At a later point, Google plans to bring AMP stories to more products across Google, and expand the ways they appear in Google Search.